The breakfast was delicious and abundant. The venue was easily accessible and in a quiet location. Public transportation near by. Polite and friendly staff. 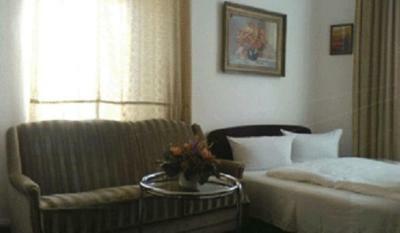 Very big and bright room, with sofa, closet, table and television. Bathroom was clean and beds were very comfortable. 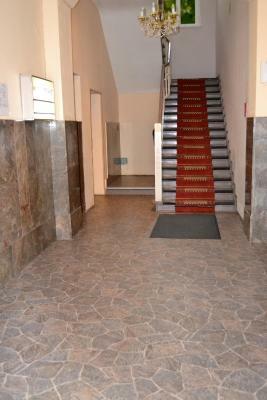 Located near bus station and 5 min. walk away from metro station. 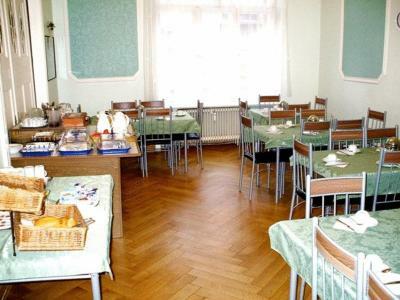 Pretty close to the train station, you have places to eat and a supermarket really close, breakfast was nice and all in all, I could not have asked for more, considering it is really good value and we have booked it at a reasonable price. Great value for the price and the breakfast. Beds were comfortable. Great location for getting into mitte Berlin. Toilet/shower facilities awful. Staff somewhat helpful. For a business in West Berlin, the staff should have better command of English. Breakfast (only 1 of which we could take advantage,ok. 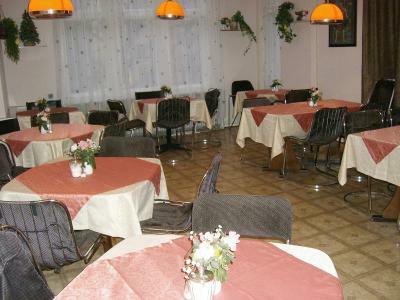 Hotel is located in very nice and quiet part of the city. Public transport is very accessible, including two metro stations. It was really easy to get from the airport by train. Everything was clean and on place. Free WiFi was provided and signal strength was very good inside the room. It's cheap for Berlin. Very anonymous and quick to check in and out. The room was light and clean. Delicious breakfast. The hotel has a great location near the park and lake. We enjoyed our stay. 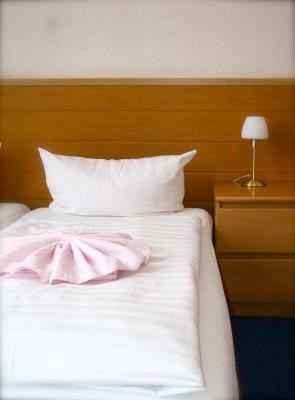 Hotel Pension Messe This rating is a reflection of how the property compares to the industry standard when it comes to price, facilities and services available. It's based on a self-evaluation by the property. Use this rating to help choose your stay! One of our best sellers in Berlin! This family-run hotel in Berlin’s Charlottenburg district is 350 feet from Lake Lietzensee and a 10-minute walk from the ICC Exhibition Center. 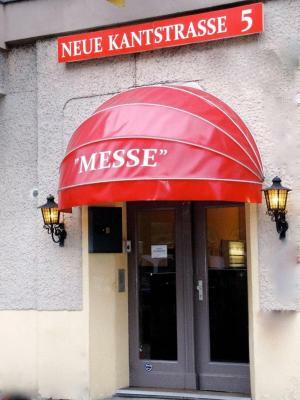 Hotel Pension Messe offers free Wi-Fi. 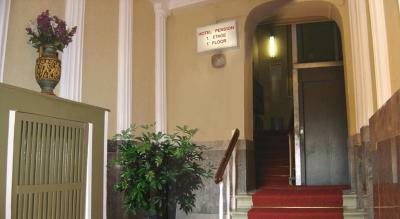 Some public parking spaces are available free of charge at Hotel Pension Berlin, and these are subject to availability. Private parking at the property is not available. Tegel Airport is 10 minutes away via Berlin’s A115 city motorway. 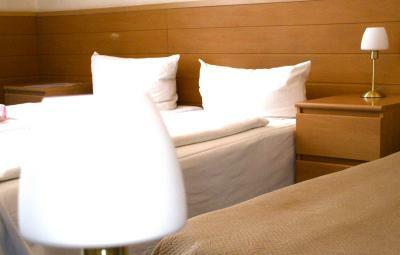 When would you like to stay at Hotel Pension Messe? Functionally furnished room has a TV with cable channels and a private bathroom. Functionally furnished room has a TV with cable channels and an private bathroom. Some rooms have a balcony and are subject to availability. This single room has a TV with cable channels and a private external bathroom in the hallway. Hotel surroundings – This neighborhood is a great choice for travelers interested in shopping, convenient public transportation and sightseeing – Check location Good location – show map Guests loved walking around the neighborhood! 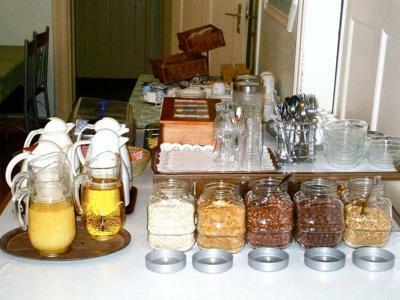 House Rules Hotel Pension Messe takes special requests – add in the next step! Hotel Pension Messe accepts these cards and reserves the right to temporarily hold an amount prior to arrival. 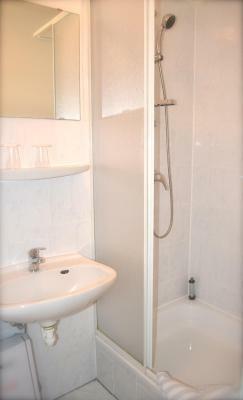 Staff could of been a bit more friendly, rooms are very basic, no tea/coffee facilities, only 1 small mirror in bathroom. Curtains where thin and didn’t meet in the middle. Breakfast was basic and boring. 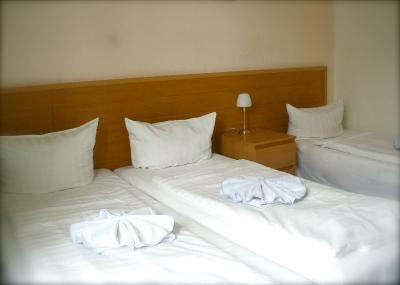 Good location and clean but very basic room. The hotel was a bit rub down and the toilet was super loud. Couldn't be used in the night without getting the rest of us awake. The walls had big cracks and you could hear everyone outside of the room. No real isolation. Staff was nice. Breakfasts okayis. Shower: sometimes no hot water, or had to wait a long time for it, and not very powerful shower. Thin mattrass, no coffee in room. Thin walls: you could hear your neighbours going to the toilet and showering. The location was kind of far away from the stations, however it was still very good for the price. 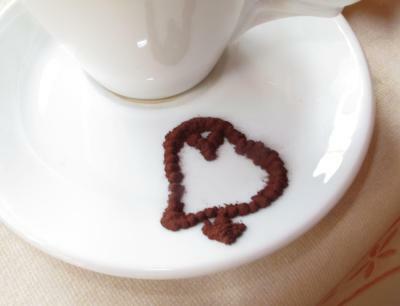 The staff was very helpful and welcoming, they made sure it felt like home. 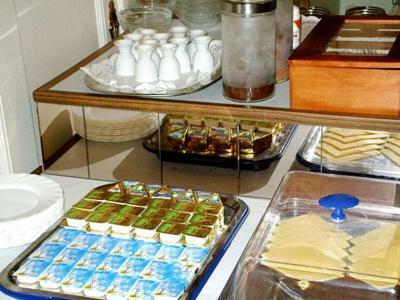 The breakfast was decent for the price with a pretty good variety of what to eat. The wifi was amazing. The shower only has hot water intermittently. This wasnt a train smash but they can improve. The facilities overall are quite old, there’s a lot of dust in the room. I’ve stayed at the room with own external bathroom, and it wasn’t a great option as this separate bathroom is old too and doesn’t seem too clean. 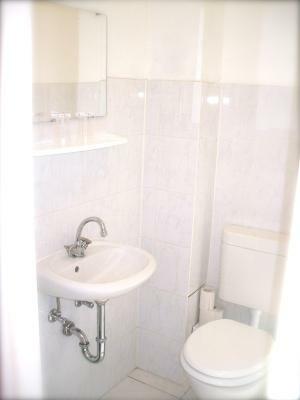 Plus, the shared bathroom is near this room (much nearer than the private one), so there’s a lot of noise by other guests. Quite close to the ZOB. Easy to find. 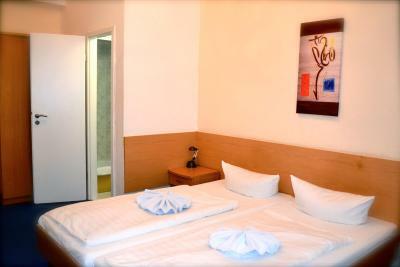 And the price for the room was great if you need no real comfort, just a place to stay near the ZOB. I booked a single room, but received a triple one. The furniture was quite old, including the TV, but that's ok giving the amount I paid (a very decent sum for my 3 nights stay). When I entered the room I noticed a kind of a stale smell, but didn't give it much thought. I figured it was normal, giving the old furniture. I also noticed that the bathroom didn't have a drain in the floor. Because of this, if I splashed the floor while showering, all the water would just stay there for the entire following day and night. This led to the biggest surprise of all: me coming back into the room one evening, after showering the night before, and trying to lift a paper bag I left close to the bathroom wall, only to have it rip in my hands. Turns out that the water from the bathroom floor had infiltrated underneath the carpet and a large portion of the floor around the bathroom was soaking wet. That explained the stale smell in the room. It was probably a rotting carpet. Another thing was the bad smell that came from the pipes. Also, the room was quite cold. Even after I set the radiator at maximum, the air in the room was still cold. I was ok under the blankets, but I did need to use one extra blanked. Regarding the staff, they speak English poorly, but enough to be able to make conversation. What left me with an unpleasant feeling was the fact that when I payed for my room in cash, the employee that helped me with the payment took it upon herself to keep the 2 euro change and ask "is ok?". I said it was, but to be honest it was more out of the awkwardness of the situation and the wish to make sure she wouldn't cause me any trouble. I thought it was a very rude way to make sure she got a tip and I believe there were other better ways to ask for one. Not to mention the fact that I had to go back and ask for a receipt. Instead I only received a bill that stated in German somewhere at the bottom that the sum has been paid in full. A very good positioning for the price payed. 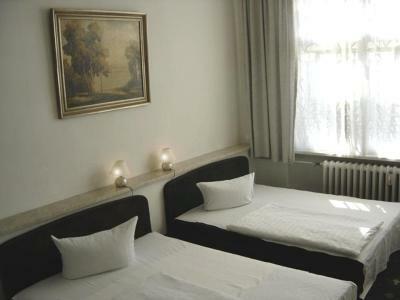 Half an hour by subway (U-bahn) to Alexanderplatz and other points of interest in the city. Very civilized and safe area, suitable for women and people traveling alone, like myself. A store and a few cafes/restaurants close-by. A varied breakfast, but made of pretty cheap products. All in all, tolerable. Unfortunately, no other benefits worth mentioning. This was a super overnight stay with value for money being our priority. It was located exactly right for us, near the theater and friends. We would be very happy to return. Hall and breakfast room were a bit run down. Blankets were too thin on a chilly day.